I’ve been finding some really awesome blogs lately and I thought it was high time that I started sharing these great finds with all of you. If there is one thing we all need it’s more great recipes, health and wellness tips, humor, Real Food advice, Green-Living ideas, gardening how-to’s, and people to teach us how to ferment things. Wouldn’t you agree? My goal is that each Friday I will share with you links to blogs, recipes, articles that I found on the web that I really enjoyed in hopes that you guys enjoy this stuff, too. 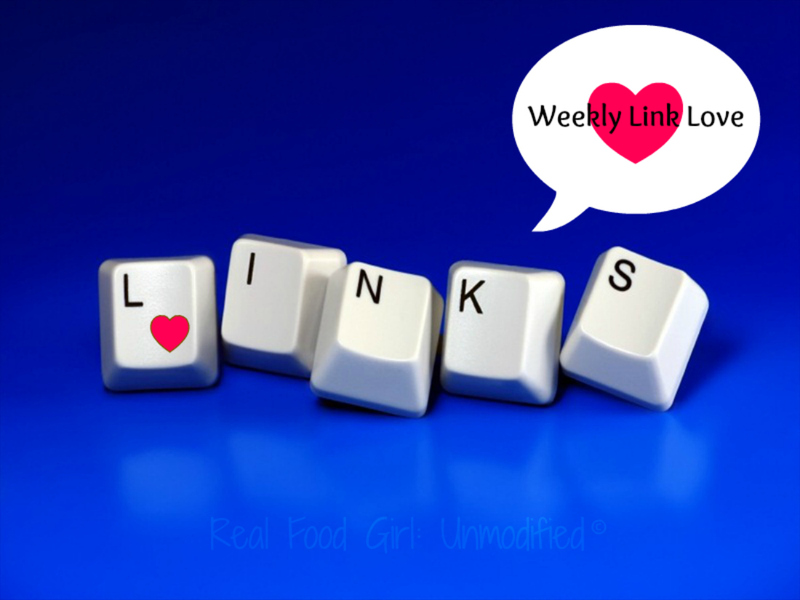 Who knows, you might find just what you’ve been looking for during one of the link loves. You guys are more than welcome to share any websites or blogs that you find that you would like featured here on the Link love. Just email me. If you’re a blogger and you are interested in having the Food Hippies visit your blog, shoot me an email with the link you’d like shared. Who’s up for some fabyumulous soup? Yeah, I just made up another word. Let me tell ya, coming up with clever adjectives isn’t always super easy at 2:00 am when you’re trying to pump out a post while fighting off the heavy eyelids. This Roasted Tomato Basil Soup recipe is from another Village Green Network blogger named Alison and she runs The Sprouting Seed blog. 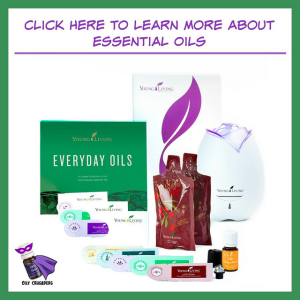 She is a Nutritionist and Mom and has some amazing information and recipes on her blog. I’d run over there if I were you. Here’s a great article I found on ketchup. It’s from Scratch Mommy and she talks about The Good, The Bad and The Ugly of America’s favorite condiment. Ketchup. For those of you with kids, I found this great post that shares 40 —that’s FORTY!— snack ideas for your kids and get this- they’re good for them. And they taste good. Yummy Inspirations is a great blog written by the Jolene. Jolene started this blog in part because one of her children is a picky eater, but is getting more and more adventurous. She has helpful and informative posts about using food to heal various health issues, she’s studying to become a Qualified Nutritionist, and she came up with FORTY snack ideas for your kiddos. In my book that deserves some Link Love- so make sure you go and visit her blog. Mmkay? Last but certainly not least is a helpful article titled: “mystery veggies in your csa box? what to do with what’s in your box.” This post gives great ideas for the best way to prepare the produce you get from your local CSA. For those of you who don’t know what a CSA is– CSA stands for “Community Supported Agriculture”. [toggle title=””]“CSA is a relationship of mutual support and commitment between local farmers and community members who pay the farmer an annual membership fee to cover the production costs of the farm. In turn, members receive a weekly share of the harvest during the local growing season. The arrangement guarantees the farmer financial support and enables many small- to moderate-scale organic and/or bio-intensive family farms to remain in business. Ultimately, CSA programs create “agriculture-supported communities” where members receive a wide variety of foods harvested at their peak of freshness, ripeness, flavor, vitamin and mineral content. There are many kinds of CSA farmers. All include payment in advance at an agreed upon price. In some, members of the community purchase a “share” of the anticipated harvest, while in others they sign up for a predetermined amount of produce over the course of the season. In return for fair and guaranteed compensation, consumers receive a variety of freshly picked, (usually organic) vegetables grown and distributed in an economically viable and ecologically responsible manner. Some farms also offer fruit, herbs, flowers and other products, such as meats, eggs, cheese, and baked goods. You can search for a local CSA farm at Local Harvest. Just enter your zip code/city or state under the US map and you will receive a list of CSA farms. I hope you guys enjoy these recipes, articles and blogs that I shared with you today. Make sure you send me an email if you know of a blog or recipe that I should feature in future volumes (say that 10 times fast) of Link Love. I love to hear what you’re interested in because chances are, someone else is interested, also.